In Eastern and Southern Africa FCA had 58 staff members and 18 partners. 24 teachers participated in training on the use of mobile technology at the Kakuma refugee camp in Kenya. 250 households received basic supplies in Somalia. 28,000 internal refugees and vulnerable people received food aid in South Sudan. I am from Bor and I came here with my parents, one sister and three brothers. I like the teaching, the teachers and everything. Now I would like to learn to write. 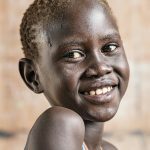 --- Nyandeng Deng Majeu is a first-grade student in a South Sudanese school that is open to both local and refugee children. 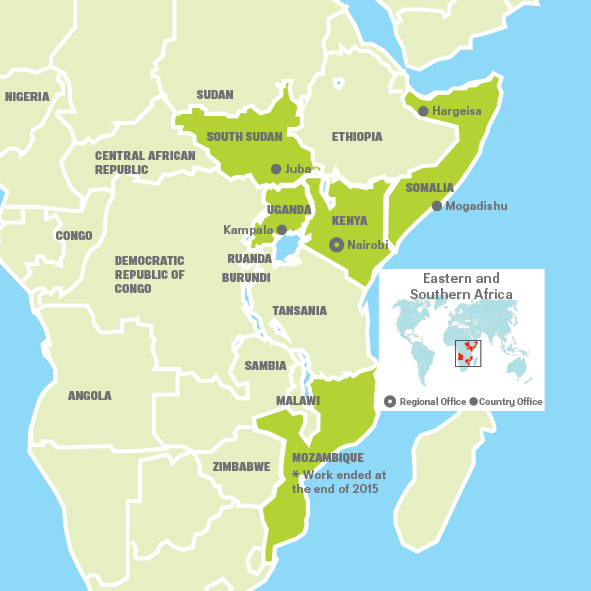 The East and Southern Africa Office is located in Nairobi, Kenya. In Somalia, the stabilising political situation, socio-economic development and new international partnerships improved FCA’s operating environment. Our main focus was on peacework and supporting local administrations. Refugee camps in the country have been overcrowded for years. In 2015, nearly 30,000 new refugees arrived from Yemen, which further aggravated the situation. FCA signed a cooperation and funding agreement with UNHCR to support the Yemeni returnees. In South Sudan, the peace treaty signed in August 2015 did not bring an end to the conflict that began in 2013. The spreading of violence to Mundri forced our partner organisation to evacuate its staff. Our projects on human rights education and improving women’s livelihoods through dairy and poultry farming were suspended. Focus of the work was on answering long-term needs through humanitarian assistance. FCA built 35 temporary schools and secured education for 1,800 children. In order to improve food security, FCA distributed seeds and tools and provided cultivation training. In Pibor, FCA engaged in a new form of cooperation with the private sector to provide the youth with livelihood opportunities. In Uganda, in order to respond to the high youth unemployment rate, FCA supported local authorities in organising vocational education for local and Congolese refugee youths. 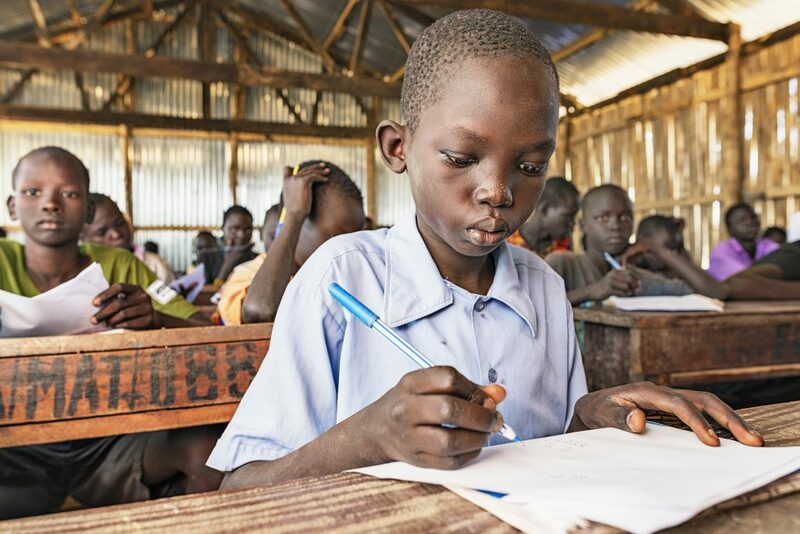 The education of Sudanese refugee children was supported at the Adjumani refugee camp. In Kenya, our main focus was on conflict resolution and conflict prevention in the arid northern regions where scarcity of natural resources causes conflicts between tribes. FCA organised three national and nine local forums, where a total of nine peace agreements were signed between pastoral communities. In Mozambique, we supported livelihoods in village communities in Gaza and in city context in Maputo. FCA’s work in Mozambique ended in 2015.